Cherish Each Precious Day: Thinking of you, just because! Yes,they are gorgeous!! Beautiful designs. Beautiful cards! Have a great time with those grandkids and a safe trip. lovely Patti! WOW on getting all these posts done and up b/4 you go! These are beautiful. Have fun in Germany. 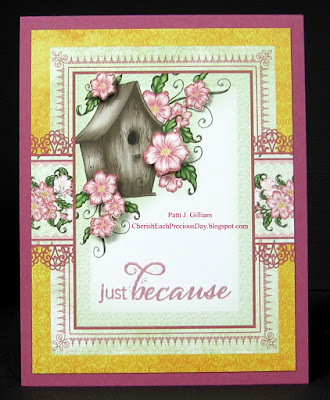 Oh SO pretty - love the birdhouse one the best but both are very pretty. A super beautiful card design. Love the wonderful colors of it. And, you have a great time with the family. Congratulations on the new addition too! Oooooh, your cards today are lovely, Patti! Safe travels to Germany. Enjoy every moment with those precious grandbabies. Beautiful cards. Love the colours and the pretty papers. How exciting for you! Safe travels! Beautiful cards. Love the pretty papers and images... especially the bird house with the sweet flowers. 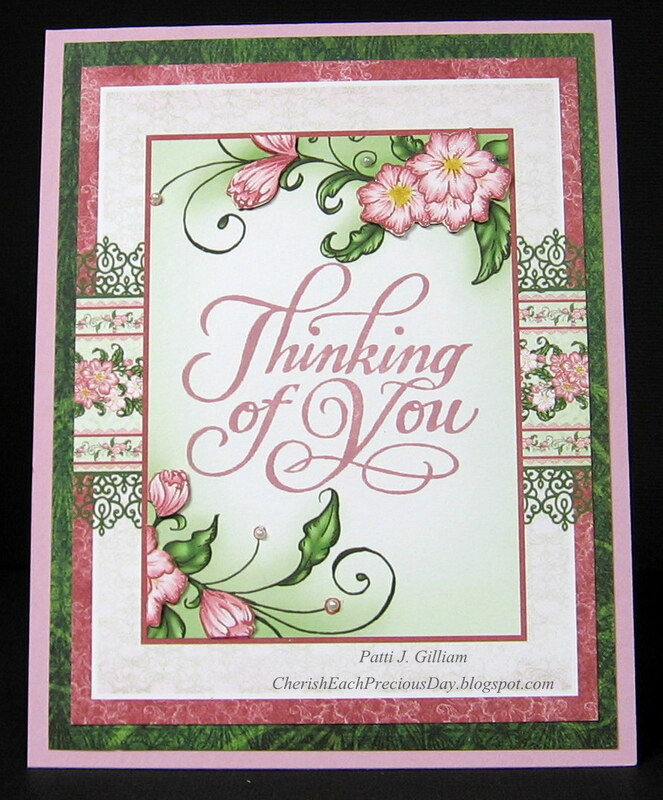 Oooh these are gorgeous Patti, those floral stamps are so pretty. PS we had our Peeps today ... everyone got a taste and my nephew and niece had several! So they're all gone and thank you very much!